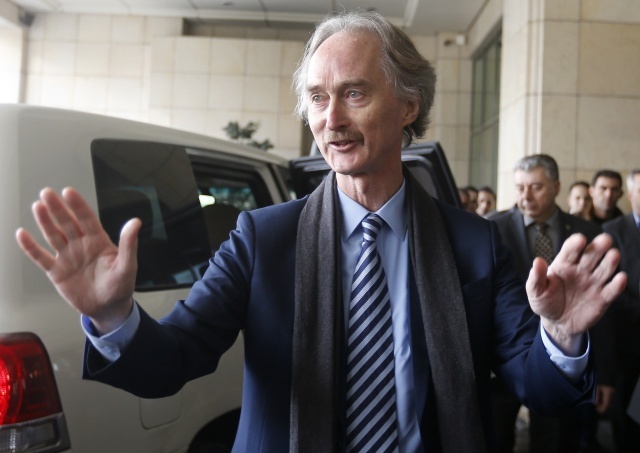 (AFP) - The new UN envoy to Syria ended his first visit to the war-torn country Thursday, stressing the need for a UN-brokered political solution to the eight-year conflict. With key military backing from Russia, Assad's forces have retaken large parts of Syria from rebels and jihadists, and now control almost two-thirds of the country. A drive to bring the Syrian regime back into the Arab fold also seems underway, with the United Arab Emirates reopening their embassy in Damascus last month.